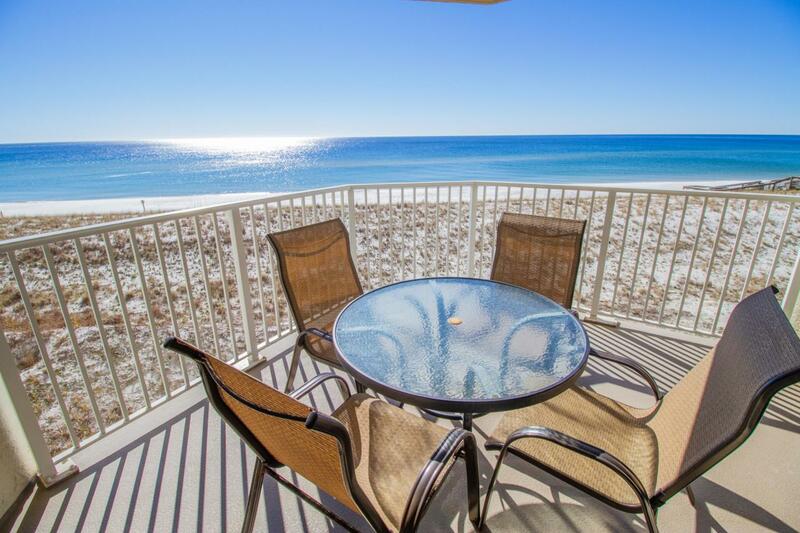 Peace and tranquility is what you will feel when you view the white sandy beaches & emerald green waters from this 1352 sq. 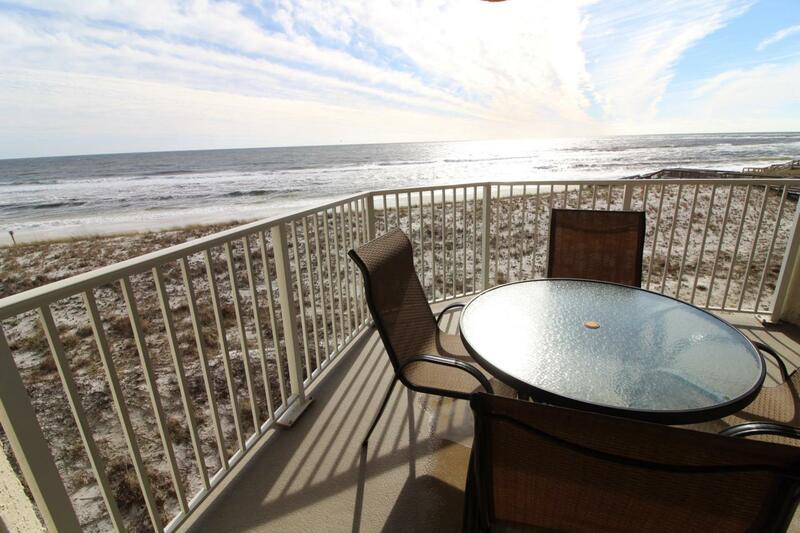 ft. 2 BR 2 Bath smartly updated direct beach front condo. 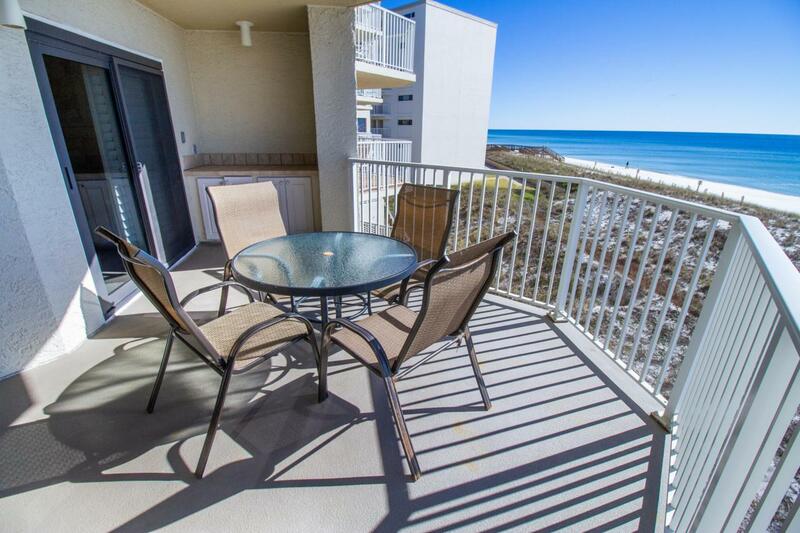 The owners have taken exceptional care of this pristine unit. Fully furnished featuring an open kitchen W/SS appliances, wet bar, granite counter tops, large master suite w/walk-in closet & double vanities. 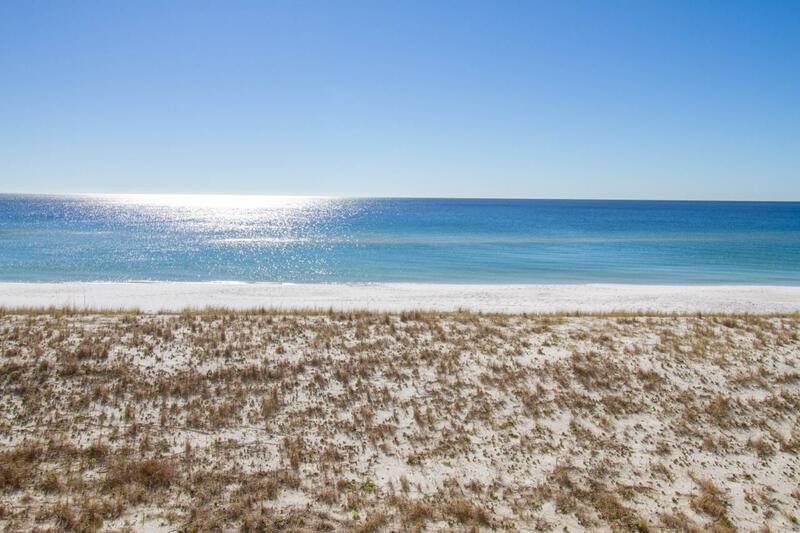 Gulf front views won't disappoint from the kitchen, dining, living & master bedroom. Plantation shutters, 2 new sliding glass doors($15,000) and built in cabinetry provide just the right elegant finishes. Amenities include lighted tennis courts, game room, pool, spa, BBQ grills, covered parking, security, community room & gym making this an investors dream come true. Can show with 24 HR.. Notice.